Athens, Ohio is famous for its haunted locales and The Ridges, Athens Lunatic Asylum is at the top of the list! 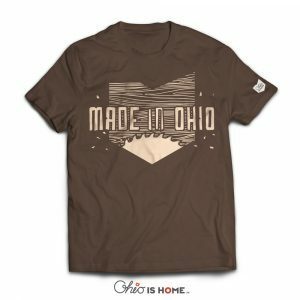 Represent your favorite haunted locale with our The Ridges Athens, Ohio Tshirt! Perfect to wear at this year’s Athens Halloween Block Party! We even added a little Stranger Things flair! Athens, Ohio is famous for its haunted locales and The Ridges, Athens Lunatic Asylum is at the top of the list! Represent your favorite haunted locale with our The Ridges Athens, Ohio t-shirt! Perfect to wear at this year’s Athens Halloween Block Party! We even added a little Stranger Things flair!